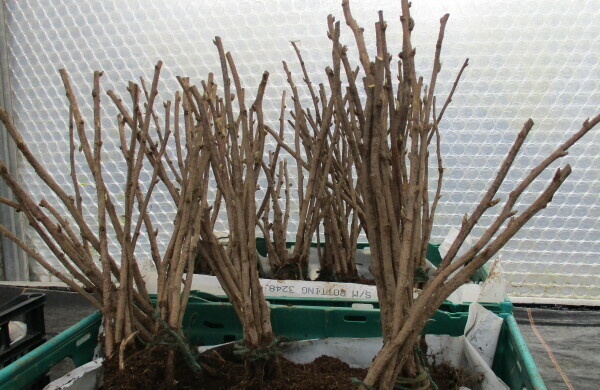 Raspberry canes look like twigs at the moment but plant them out now 30 – 45cm apart and you will be picking raspberries from July to October this year! The variety we have got is ‘Polka’ with large, tasty berries. Gooseberry bushes – ‘Invicta’ and ‘Captivator’. Broad beans ‘Witkiem Manita’ and ‘The Sutton’ and Onion sets – ‘Sturon’ and ‘Red Baron’ are ready to plant out now.